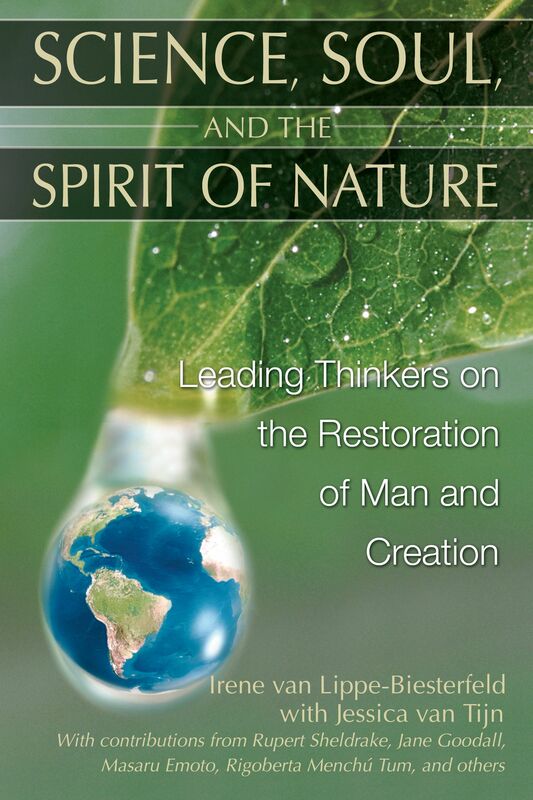 Years ago, I read Sheldrake’s book The Rebirth of Nature and was fascinated by his approach. He shows us how we can think of Nature as “alive” instead of being inanimate and mechanical. I recognized my own experience of reconnecting with that life and magic suddenly described by a scientist who got his education at several very renowned places but still manages to stay the “wondering boy” of his youth. I start our talk, the way I do with all my conversation partners in this book, with the question: What is nature? Rupert Sheldrake: Nature is all there is. And I suppose nature is the entire universe, the entire physical world. In that sense, we are part of nature. You can use nature as an inclusive term to represent the whole of nature, which is the way it is used in natural sciences, the sciences of nature. But nature is often used as a word in opposition to culture or to humanity. And then the word is used in a different sense, as a distinction between human beings and human culture and nature, which unfolds spontaneously, without human interference. You have the same ambiguity about the word animal. Biologically speaking, we are animals. But people very often use the word animal to distinguish between humans and animals. So it is really a matter of usage of words. We have a lot of words that we can use in different senses. Is it the usage of words or is it the separation we have come to live with? RS: I think all of nature is based on boundaries and separations. It is a feature of natural order. Every animal has a skin that separates it from the world outside. Every ecosystem has a kind of limit. The ocean has a limit in the shoreline. The forest has a limit in the tree-line or the mountains. A cell has a membrane, which is its limit or boundary. So, if you look at the way nature is built up, it is built up of systems, which have limits or boundaries, but which then are part of a larger system with its own limits or boundaries. We see the same thing in the way countries are organized. Parishes, counties, nations, and continents are different levels of boundaries and limits within that system. This is just the way that everything is organized. In Western culture, there is that sense of separation, but I think that is only partial. One of the points that struck me years ago, and which I found reinforced ever since, is that most people in the Western world actually have two attitudes towards nature. One of them operates from Monday to Friday: the business attitude, which means to control and dominate nature's natural resources. But then the other one, which comes into play during the weekends and holidays, is getting back to nature in a car--which is the ambition of the most affluent people in European society. What do people do who want to get rich by exploiting nature when they've made lots of money? They buy a country estate, so they can have a retreat in nature . . .
RS: I think Western culture is based on creating splits and separations. So, most people are quite happy working during the week to make money. But what people would think is their “true self” is not a person in an office. At least in England, most people imagine that their true self is living in the country, cultivating hollyhocks in a cottage garden. This is what many people want to do when they retire. So they think that is their true self, even though it is a complete fantasy and totally unrelated to the way they actually live, which may be living in a suburb and working in an office. If we go on in this split way, it is obvious that we will see that it can't last forever; that at a certain moment, the candy box will be empty. RS: Oh, of course. But the reason that people don't feel this extreme alienation is because it doesn't happen all the time. Look at George Bush, for example, who wants to open up wildlife refuges in Alaska for oil drilling. And look at his poor environmental views in general. But I am quite sure that when he is on his ranch in Texas, he enjoys the broad skies and fresh air, and he probably really appreciates it. RS: No! I think this is the normal way that people in the West have come to live and have come to expect to live. I think it is an undesirable way of doing it, but I think it is the way in which the movers and shakers of our society became rich and powerful. And those rich and powerful, at least in England, tend to go away for the weekend to the country and don't feel the disjunction from the country because they actually get quite a lot of unspoiled nature in their lives. They are able to believe that it is okay to have all this economic activity, because they can actually have both. With the work that I have been doing on people's relationships with pet animals we have a situation where the split is particularly clear. Most pet-owners keep animals because they actually want a connection with the animal, non-human world. There is no economic reason for people in Holland or England to keep dogs or cats. They don't usually need guard dogs; they don't need hunting dogs unless they are part of this very small minority that goes hunting. They don't need cats to kill mice in farmyards. And people living in urban apartments with these animals keep them even though they are expensive. They keep them because there is some deep need to connect with the animal world. "Princess Irene’s understanding reaches to the deepest layers of the human psyche--the depths where we not only think but actually feel our oneness with nature." "The compilation of these interviews is enlightening, as well as sincerely thought provoking. Each contributor brings a unique cultural and social perspective as well as unique understanding to the definition of what our place is on this earth and with the world, in general." "Each contributor adds insights into the urgent change in consciousness that we need to heal and restore our holistic relationship with the earth." "Not only does the book stimulate our thoughts, instigate our awareness, but it also presents essential and drastic measures and steps that need to be taken in order to prevent the destruction of Nature, which also includes, ourselves. :"